Natural substances are not benign. Hippocrates would have used Homeopathy First. How much education does the person recommending the product have, and is that education about the world they are working in? Remember, working for a company for several years in a sales or direct to consumer role does not constitute education. Does the person admit or deny that any harm could come to you from these products? Is there anyone they would NOT sell or recommend this product to? Does the product claim to help anyone and everyone? If the product is made outside the US, can they assure you that the ingredient list is accurate? How? I worked at a large corporate health care system for many years where they had a “fragrance policy” which meant we could not wear any perfumes or lotions that were scented. This may seem extreme to some, but since my grandma died of emphysema I know firsthand how strongly someone with breathing difficulty can be affected by even mild scents. With the boom of the essential oil industry I find it a bit surprising that we don’t hear more complaints from the asthmatics and the sensitive people out there. I am typically pretty indestructible, but I was in my office with some soaps that were infused with essential oils and after a few short hours I had a headache and had to put them away. I personally can handle them in small doses and for a targeted reason (i.e. lavender for calming) but when exposed to several oils at once (even if just airborne) I can be quite miserable. I was in a yoga class one morning and made very aware that not only can scents trigger headaches they can also trigger memories. My yoga instructor applied some nice orange essential oil (without asking me) and it immediately brought me back to my job as a medical assistant where we used the “orange spray” to cover the scent of dealing with our least favorite lab specimen. I’m sure my yoga instructor had nothing but the purest intent, but that savasana was ruined for me because I was giggling like a four-year-old boy (in my head, not out loud thankfully) because all I could smell and think of was poop. If you are a wearer or user or infuser of essential oils and you want to be respectful to those around you, maybe just ask if it’s bothersome to anyone. No product is good for everyone. If someone tells you that you need something, make sure you know why they think you need it, and then refer back to question #1. If you have to take the product for the rest of your life, raise an eyebrow or two. A very wise naturopath, Jennette Cable, once told me that supplements should be like training wheels, you use them for a few months to get going on the right path, and then they should fall away. Supplements should not be used forever unless you can’t eat fresh food. “Let food be thy medicine.” Hippocrates knew it was that simple, it seems like we should too. If you have two grocery bags of supplements prescribed by an article you read or someone making a boatload of money off of them, which you take daily and spend hundreds of dollars a month on, you might want to take a supplement holiday. Take them away one at a time, or all at once and then gradually add them back to see if you notice a difference. Take the money you would have spent on them and go on a holiday (get it? supplement HOLIDAY). Obviously, if they were prescribed by a health care provider and you take them for a specific reason, this is not a good idea. But if each time you read an article on “the fabulous effects of green bunk pea concentrate” from northeast Alaska you add it to your list of supplements, you may be doing more harm than good. Supplements are not very well regulated AND possibly more importantly, even if they are good for you, your kidneys and liver have to filter all that stuff and you are making your toxin clearing organs work overtime when you take that many pills every day. EAT your vitamins and minerals and be sure that you actually need and benefit from the supplements that you take. Ideally an experienced Naturopath or Functional Medicine doctor should be prescribing your supplements, not someone who sells them for profit but never actually studied the biological effects on the body. One of the things that I love most about Homeopathy is how safe it is. There are a few conditions or reasons for seeking care in which I would discourage homeopathy as a first step, and I always require my clients to have a primary care provider, but most often I wish people had tried homeopathy first. The fact that classical homeopathy is specified to YOU as an individual, means that rarely will negative effects will be seen. If I don’t get the right remedy when I take your case, it is likely it will do nothing at all. Most of the time I see benefits from the ONE homeopathic remedy I prescribe to my client, but in the few cases where I see no benefit, I also see no harm. Homeopathic remedies do not act at a cellular level so do not need to be cleared from the body, they simple stimulate the body to heal itself. Over the counter homeopathic remedies in the 30C or lower “strengths” are safe to try, but be aware that their effects can confuse the case when seeing an experienced homeopath. If you have used over the counter homeopathic remedies and seen success, you would most likely see much greater success and lasting cure from being treated by a practitioner like myself with your constitutional remedy. Be safe when you put anything in your body and be sure that you really need it if you are spending your hard earned money on it. Think about the questions above when you add something to your daily routine and remember, whole foods, movement, and sleep should be where you put your biggest efforts. Look at the years of study behind the people telling you what you should take and get second opinions when things seem wonky. Listen to your gut and then feed it some more nutrient rich whole foods, go for a walk, and get a good night’s rest. When that’s not working, give me a call. 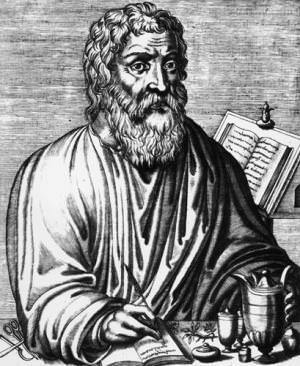 Hippocrates would have been down with homeopathy.